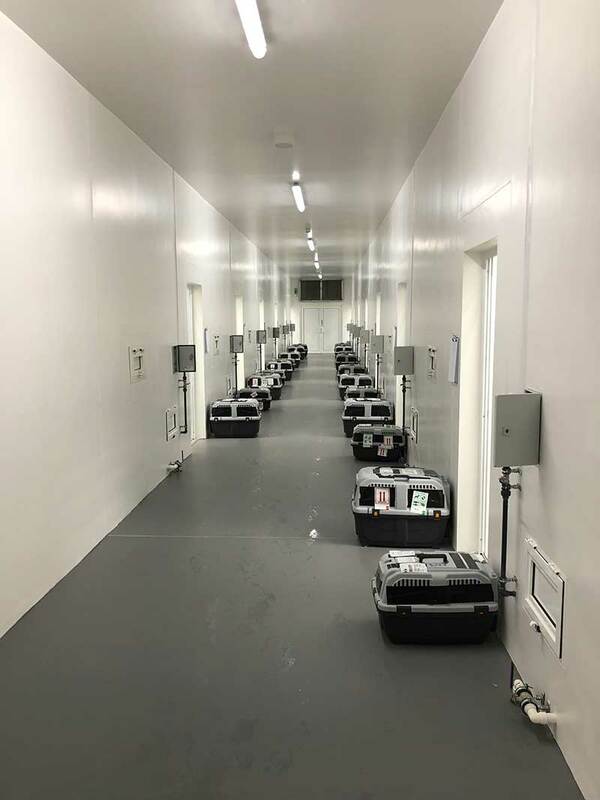 At the height of the summer, Animalcouriers and our partner GoFetch stepped in at short notice to transport a cast of falcons to Wales from London’s Heathrow airport. It was a very hot day when we received a call from the Animal Reception Centre (ARC) at the airport. Almost 40 falcons had arrived by air earlier in the day, and were due to travel on to the Brecon Beacons. 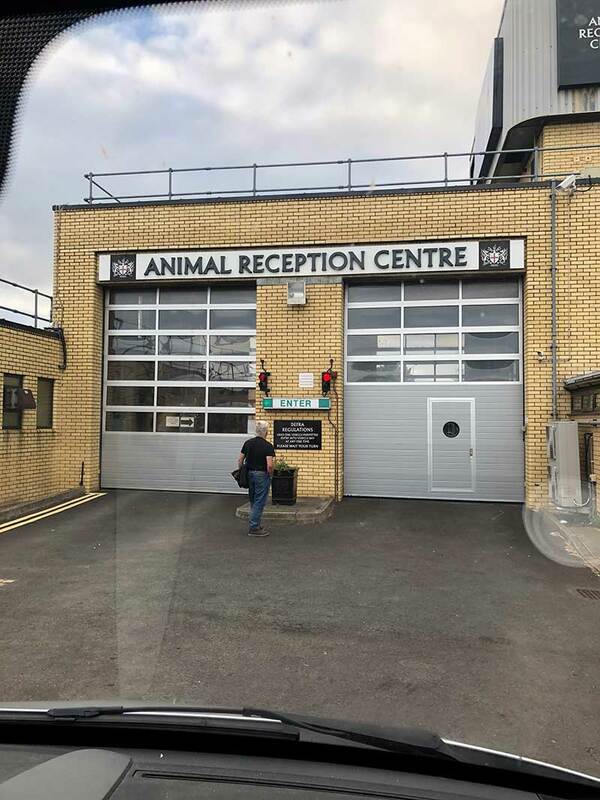 Given the high temperatures that day, the ARC rejected the pre-booked transport in favour of a vehicle with air conditioning and electric ventilation. Courier Matthew from GoFetch was about to head home to Wales in one of our vans following a joint trip with Animalcouriers. 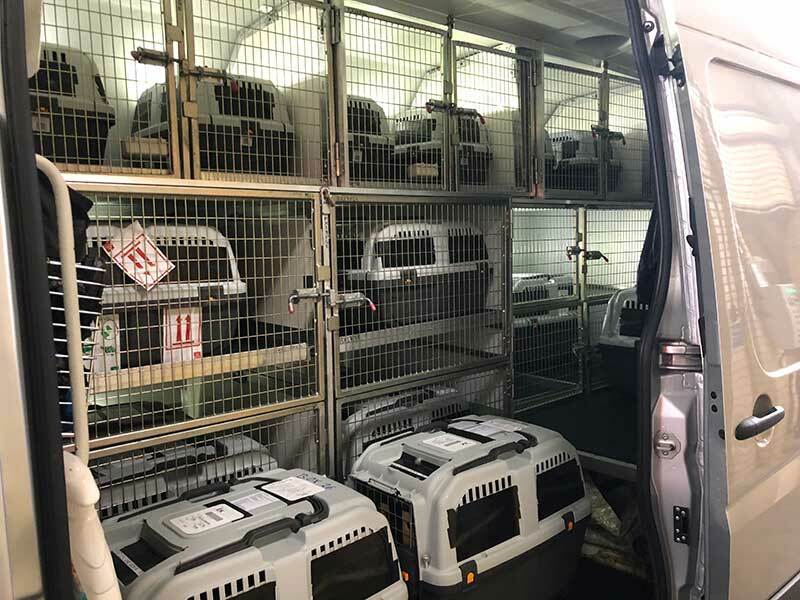 He quickly detoured to Heathrow to collect these handsome birds of prey, and take them to their specially designed accommodation in the Brecon Beacons. Always exciting when something out of the ordinary happens! How interesting – falcons- instead of dogs and cats. We love it when we have exotic passengers. 40 Falcons?!! Wow, did you have a wagon full to care for!! It was bursting with falcons! Wow – what an amazing story and what a fabulous reputation you have established!! Good for you and great good fortune for the falcons!! It was really good to be able to help out at the last minute. Rather fun to have such exalted birds on board! A rather interesting side tour on your way home. Fantastic!!! You & the Animal Couriers never cease to amaze me!!!! Wasn’t it a great chance for us! Amazing……that’s a whole lot of birds to transport. We never knew that a bunch of falcons was called a “cast” ! It sure was Annie! And I learned a new meaning for the word ‘cast’ too! Fun & educational, hehehe…..
That is a very unique cargo. I couldn’t help but think it was funny that the falcons traveled by air. Ha ha yes! Don’t think they have the stamina of homing pigeons!